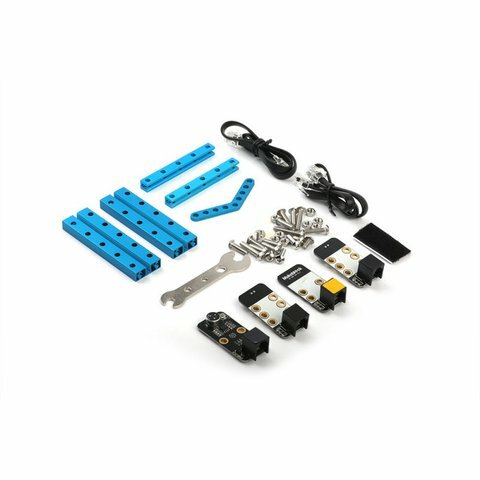 3-in-1 pack based on mBot. 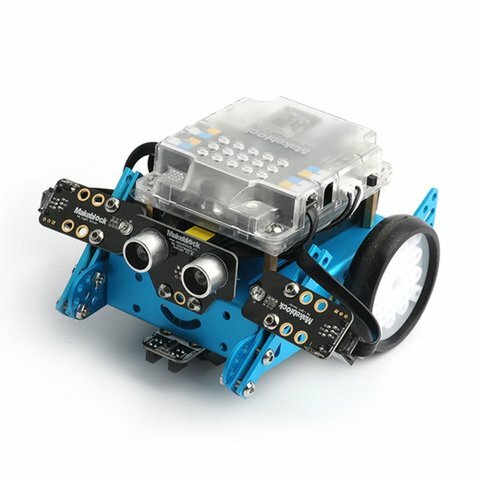 It allows constructing three robot models that react to light and sound. 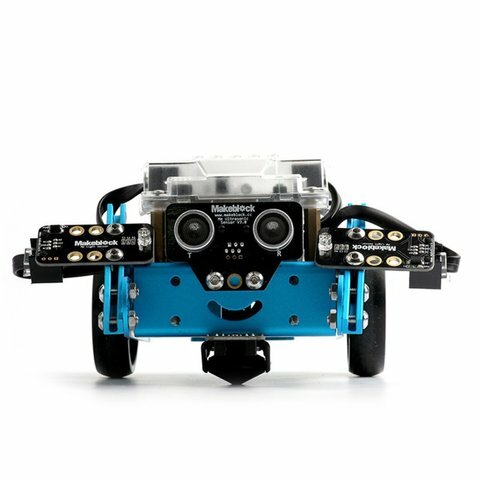 With mBot Add-on Pack Interactive Light & Sound kids can construct three programmable robots on their own based on Makeblock mBot V1.1. These are “Lighting chasing robot”, “Scorpion robot” and “Intelligent voice-activated desk light”. 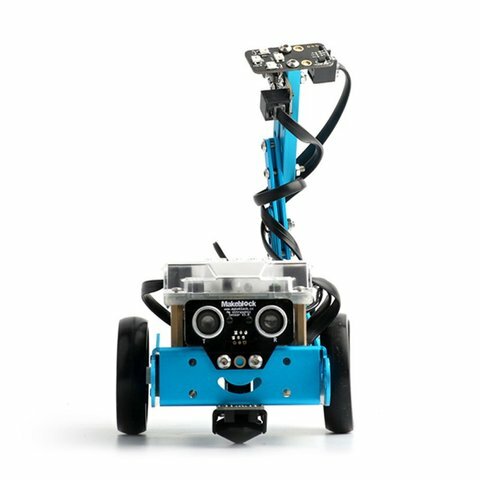 Light chasing robot. 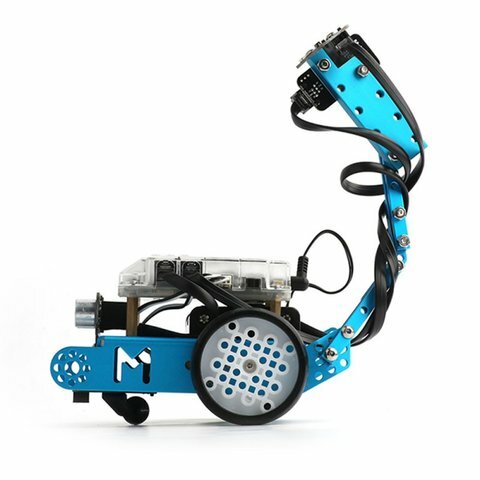 The robot that reacts to light, and moves towards the light source. 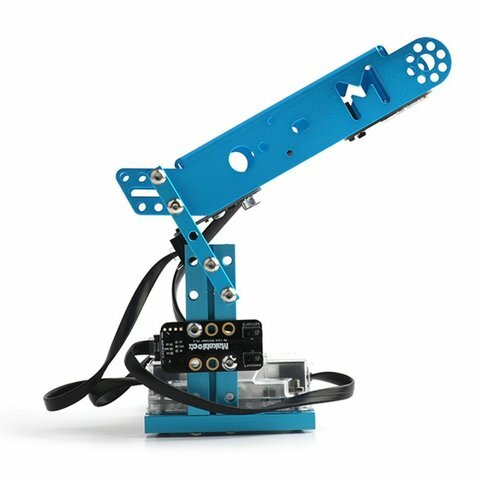 Scorpion robot that reacts to sound. Clap your hands to stimulate its recognition to sound. It changes the backlight color depending on its reaction. Intelligent voice-activated desk light, which changes the lighting mode by reacting to both touch and sound. Me Light Sensor — 2 pcs. RJ25 Cable (35cm) — 2 pcs. Me RGB LED — 1 pc. Plate 45° — 1 pc. Me Sound Sensor — 1 pc. Gasket 4 × 7 × 3 mm — 4 pcs.